Each year, the ICSC (International Council of Shopping Centers) recognizes excellence, innovation and creativity within the shopping center industry in Latin America, acknowledging achievements in categories including marketing, social media, increase in operating revenue, store design and development and commercial properties. ICSC granted the Antea Lifestyle Center the Silver Prize in the “New Development” category for its peerless characteristics in terms of concept, development, design and choice of stores. Our Director of Media and Marketing, Rosalba Rojas, received this honor on behalf of GSM. Antara Fashion Hall was also awarded the Gold Prize in the category “Social and Digital Media” for the campaign “Umbrella Hall”. Alexis Ellstein, Director of Marketing at Antara received this prize on behalf of GSM. RECon América Latina addresses the most pressing problems facing the industry at global and regional level as part of a network of business and of keynote lectures for audiences that include owners, developers, distributors, investors, and suppliers of products and services. 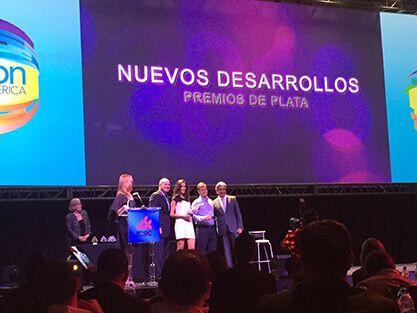 The award ceremony was presided over by Tom McGee, president of ICSC USA, and by Gonzalo Montaño, president of the Latin American prizes for the ICSC, and was held as part of RECon Latin America 2016, which this year was hosted at the Arena Hall of the Moon Palace Hotel in Cancun, Quintana Roo. 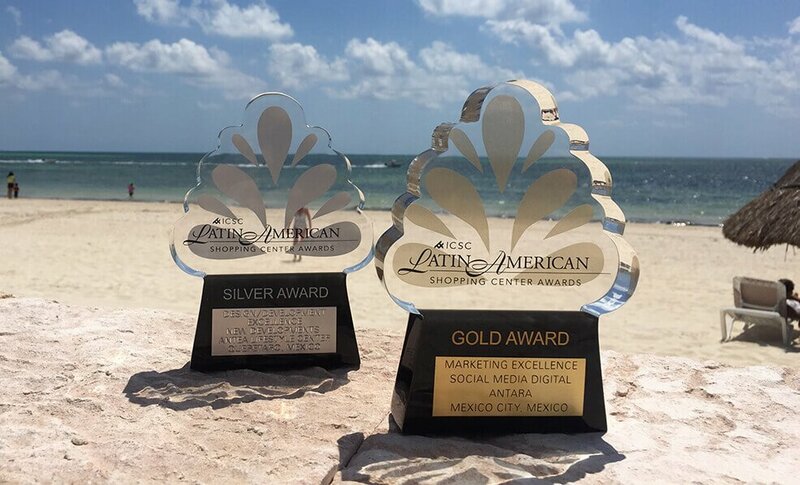 The winners of the ICSC Latin American Shopping Center Award are automatically entered into the prestigious 2017 ICSC VIVA Awards, the global awards program that recognizes most of the cutting-edge properties in the shopping center industry, together with innovative solutions and creative responses to market trends, held in May in Las Vegas.